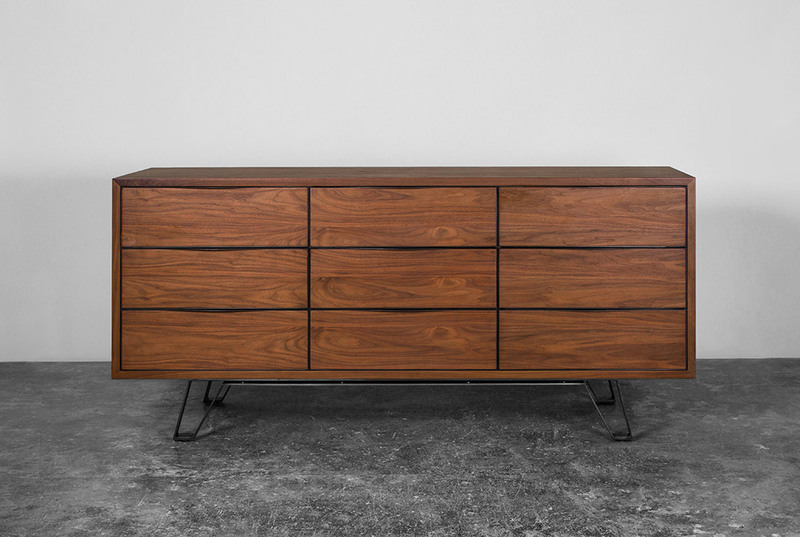 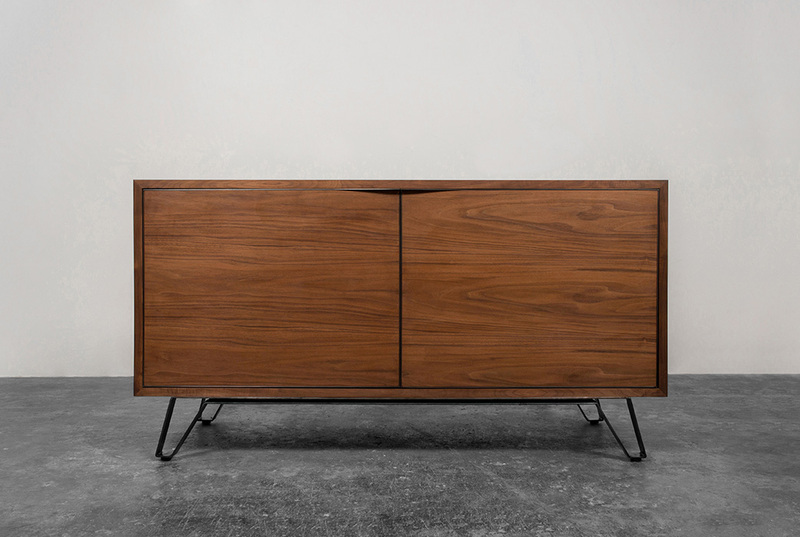 Anderson is a collection of a sideboard, a drawer unit and an entertainment unit. 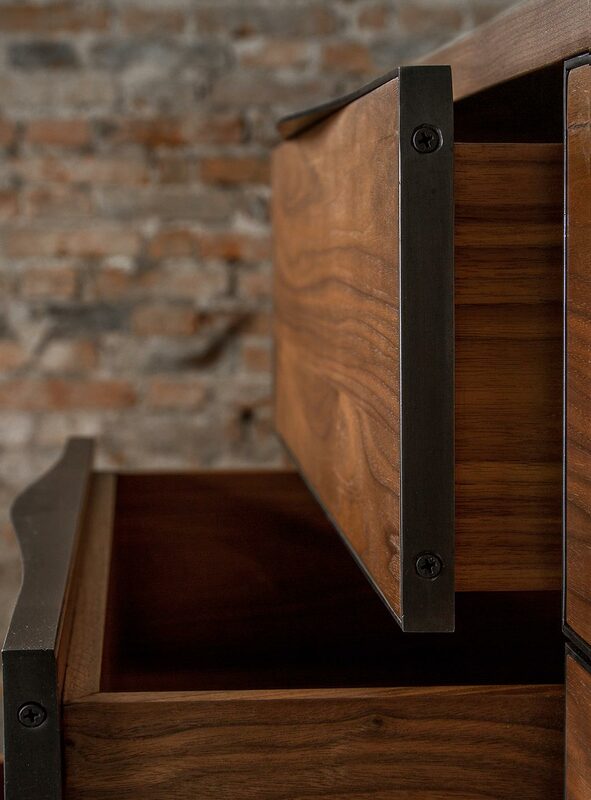 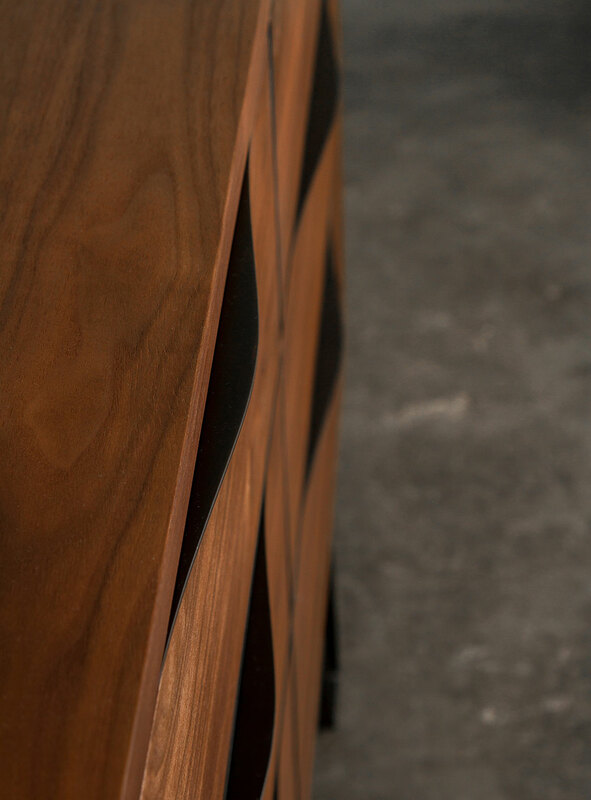 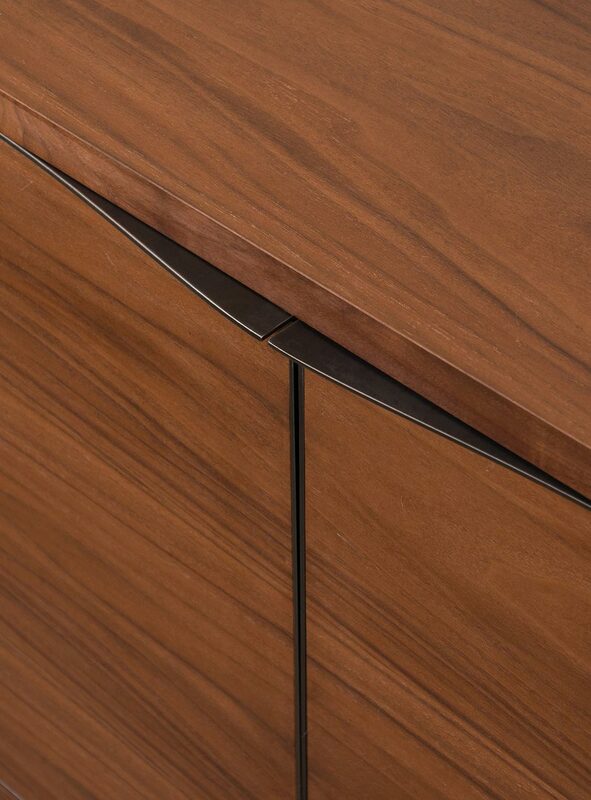 These cabinets are made from MDF cases and fronts with oiled walnut veneer. 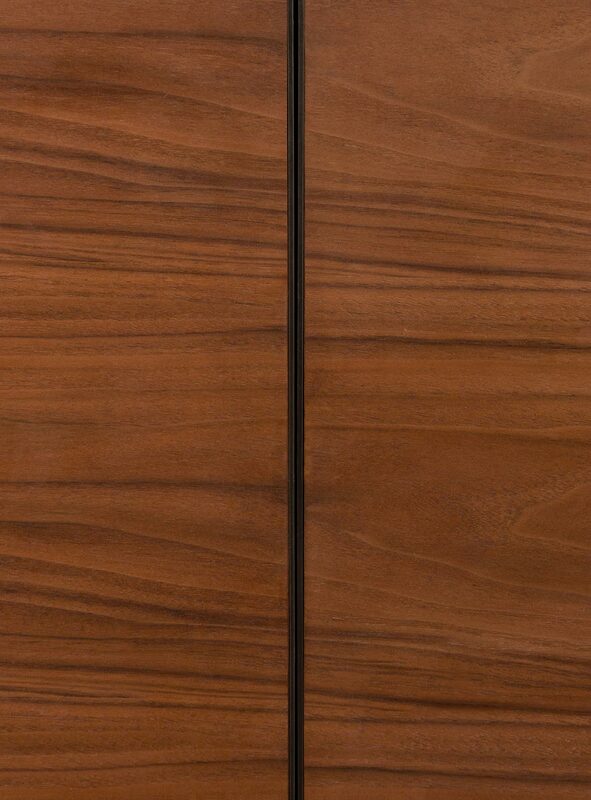 The metal legs are made from thick flat steel water jet cut and fabricated showing the angular element of the units.